Vince Flynn and Brad Thor, move over: introducing a pulse-pounding new international thriller series by a former Delta Force commander. Pike Logan was the most successful operator on the Taskforce, his instincts and talents unrivaled-until personal tragedy permanently altered his outlook on the world. Pike knows what the rest of the country might not want to admit: The real threat isn't from any nation, any government, any terrorist group. The real threat is one or two men, controlled by ideology, operating independently, in possession of a powerful weapon. Buried in a stack of intercepted chatter is evidence of two such men. The transcripts are scheduled for analysis in three months. The attack is mere days away. It is their bad luck that they're about to cross paths with Pike Logan. And Pike Logan has nothing left to lose. Brad Taylor served for more than twenty-one years in the U.S. Army, retiring as a Special Forces Lieutenant colonel. During that time he held numerous infantry and special operations positions, including eight years in 1st Special Forces Operational Detachment Delta where he commanded multiple troops and a squadron. He has conducted operations in support of U.S. national interests in Iraq, Afghanistan, and other classified locations. He holds a master's of science in defense analysis with a concentration in irregular warfare from the Naval Postgraduate School in Monterey, CA. 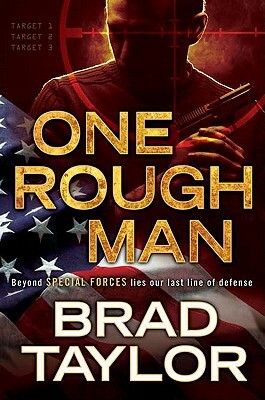 When not writing, Brad serves as a security consultant on asymmetric threats to various agencies. He currently lives in Charleston, South Carolina, with his wife and two daughters."